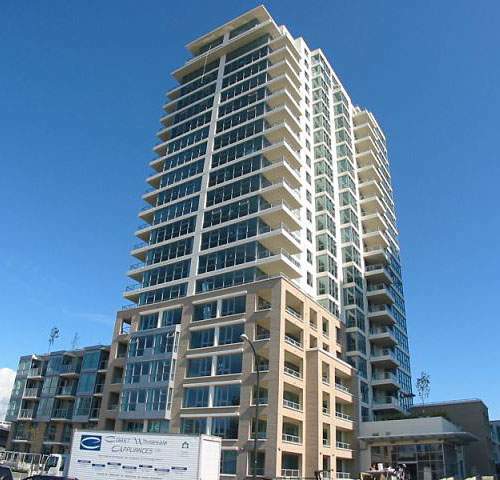 Bosa Development's final phase of the successful Citygate project, has been overwhelming. Excavation of the Creekside site has begun and we should begin construction shortly with the estimated completion to be mid to late 2007. Creekside will feature 148 tower homes and 17 townhomes, steam and sauna, a social lounge, fully equipped exercise room and beautifully landscaped courtyard. Creekside will offer that rare combination of spacious, luxurious living and the excitement of a downtown lifestyle. One bedroom and den to 3 bedroom suites range from 747 - 1,657 square feet and two bedroom and den townhomes range from 1,470 - 1,852 square feet with many units having extra large patios or roof decks for entertaining! Some of the fine details include hardwood floor kitchens and entry areas, and granite countertops in kitchens.